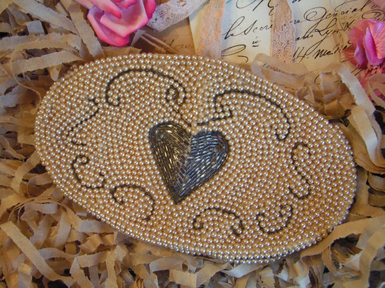 Andrea what wonderful 'Heart Treasures' you have. Hi Andrea, you may have a big heart collection, but they can't compare to your own big heart, thanks for all you share, (and thanks for my gold keys)have a very Happy Valentines Day.. Kathy H.
One hundred wishes to you this Valentine's Day...........enjoy your sweet day & pass the chocolate around to all of us here in Ohio! Thanks for sharing all your heart treasures! Happy Valentine's Day. 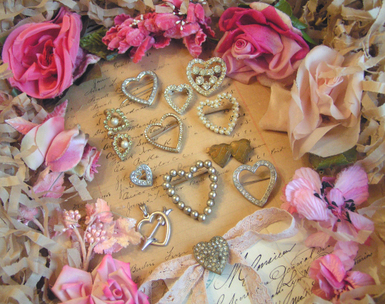 Your heart collection is so sweet! Love those vintage tags. the colors are scrumptious! Have a wonderful day! 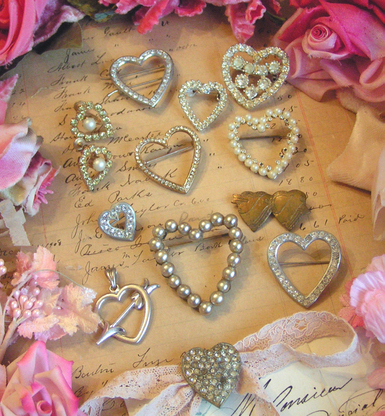 Andrea, thanks for sharing your heart collection with us on this Valentine's Day! Love those pins! 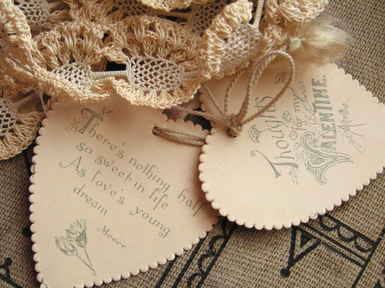 Happy Valentine's Day....those tags are gorgeous! Happy Valentine's Day Andrea. I received my goodies from your shop and adore everything. Hi Andrea! What a sweet heart collection you have going on. Lovely, lovely hearts! But the beautiful message coming from your heart is the loveliest of all...Happy Valentine's Day, Andrea! Beautiful post, Andrea. Have a delicious Valentine's Day! happy hearts day andrea!! What a beautiful collection of love-ly baubles!!!! 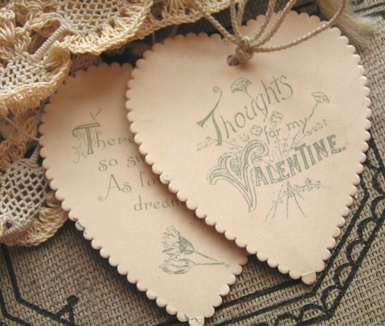 Sending you wishes for a Happy Velentine's Day with lots of heart, just like your lovely collection :). 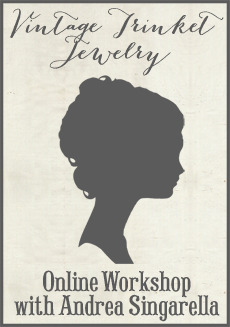 Your heart collection is lovely and I can't wait to see what's new in your store tomorrow!! Beautiful post! Thanks for sharing & Happy Valentines Day!